Samsung during a CES keynote on Tuesday announced plans to make its Gear S2 smartwatch compatible with Apple devices running iOS, a surprising feature addition considering the two companies are fierce competitors in the mobile space. 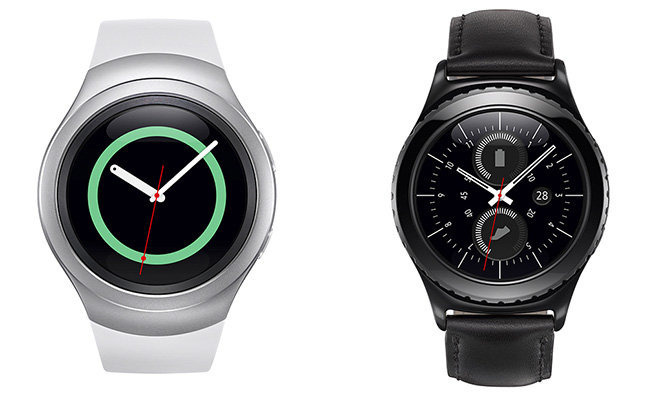 According to Samsung VP Alana Cotton, the South Korean tech giant plans to add iOS compatibility to Gear S2's feature set later this year, but declined to detail a specific time window, reports The Verge. Powered by the company's in-house Tizen operating system, Gear S2 in its current form can only pair with Android phones made by Samsung and other manufacturers. The change in operating system support is an overt play for Apple device users left unimpressed with Apple Watch. Gear S2 hit the scene last August as a new platform that combines the round-face aesthetics of Motorola's Moto 360 with rotating bezel controls reminiscent of Apple Watch's Digital Crown. As with most smartwatches on the market, Gear S2 includes a suite of fitness tracking functions like a heart rate monitor and dynamic alerts, as well as a selection of other features including Apple Pay competitor Samsung Pay. It remains to be seen how far Samsung intends to go in integrating its proprietary "S" software suite on iOS, though the company is likely keen on encroaching deep into Apple territory. At the same event on Tuesday, Samsung revealed rose gold and platinum color options for the Gear S2 Classic, though official pricing remains unknown.